Clowns are meant to be fun, funnier, funniest and able to tickle your funny bone! So, I can go back to being a funny clown instead of a frustrated computer user!! Squeek had a wonderful 3rd Birthday on April 10th! 1/2 can of tuna just for her!! She has been very loving since the bottle babies have been here. I think they bring out her motherly instincts - even though she has been spayed! I also think she may be related to the babies - they look a LOT alike. 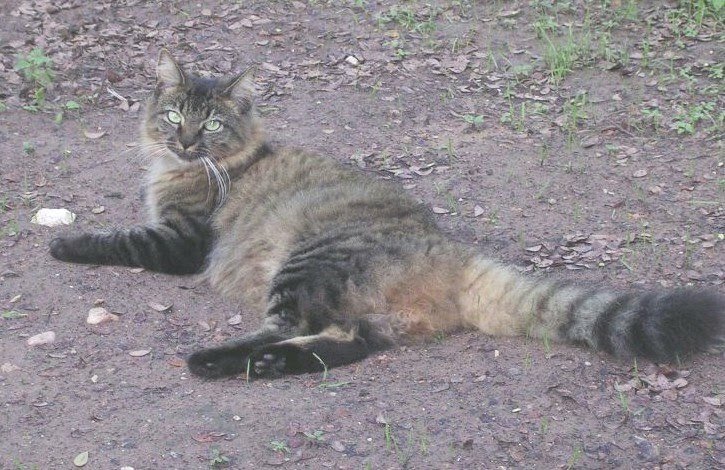 Since Squeek was also found in the woods out back, the same feral tomcat could be responsible for fathering them all! I took the babies to the Humane Society of Austin/Travis County yesterday. It was hard to do, but know that they will receive their vaccinations, spay/neuter and be adopted into Forever homes! Maybe even yours? I was helping the Easter Bunny deliver deviled eggs on Sunday! Their mama had been sent to The Rainbow Bridge by a mean coyote. 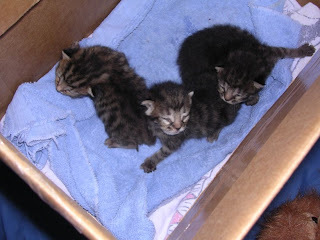 They are about 2 weeks old, and so I am feeding them kitty milk replacement with a bottle every 3 hours. They are SO sweet and SUPER CUTE!! !